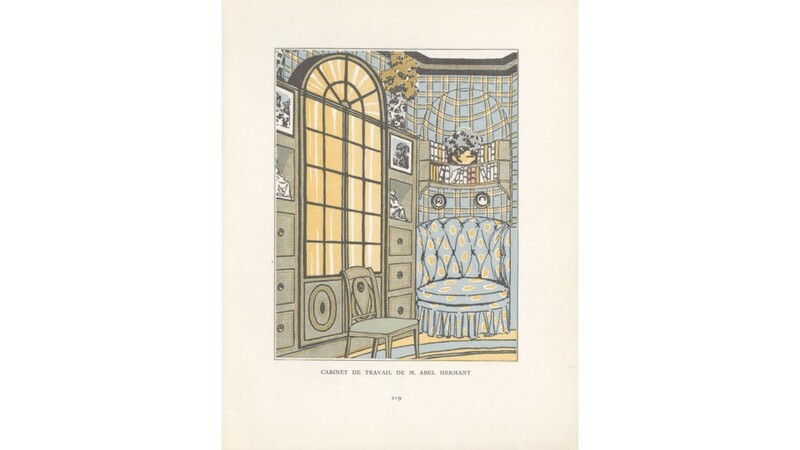 Art Deco interior from Gazette du Bon Ton. 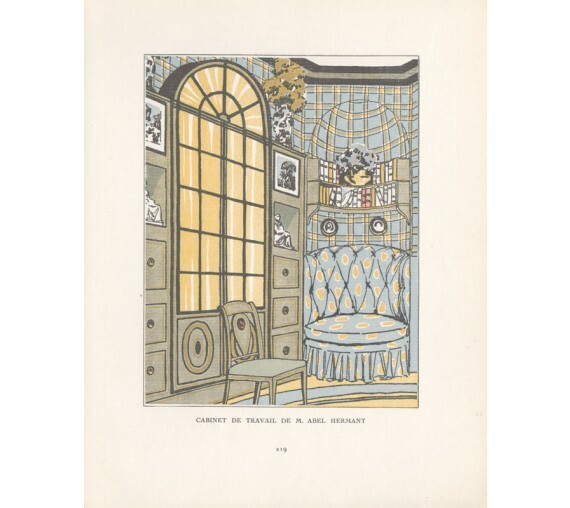 La Gazette du Bon Ton was a leading French fashion magazine that was published in Paris from November 1912 to 1925. 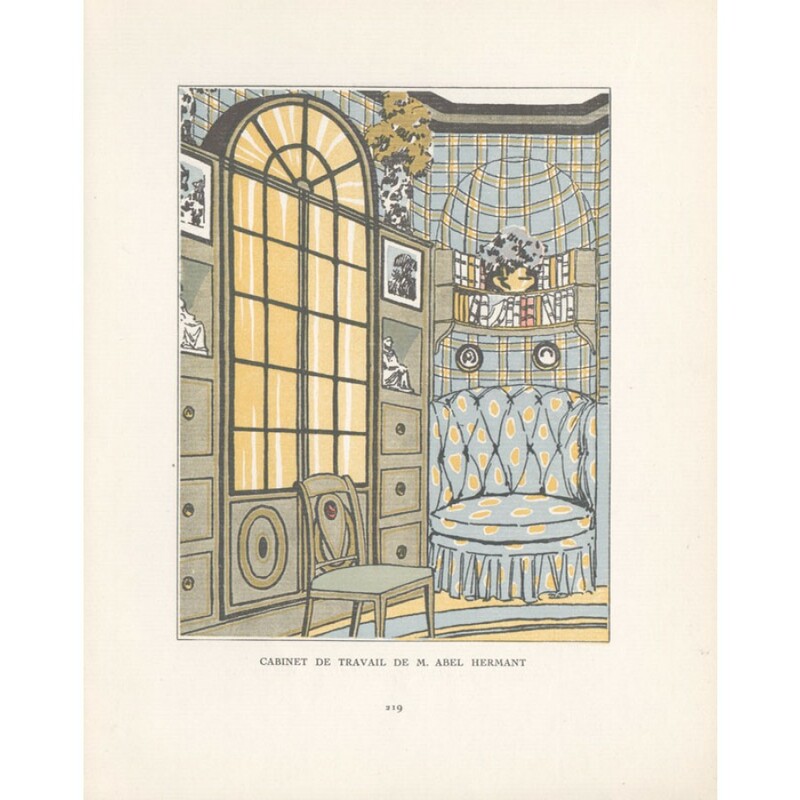 Founded in 1912 by Lucien Vogel, the magazine covered the latest developments in fashion, lifestyle, and beauty. Text on the reverse.